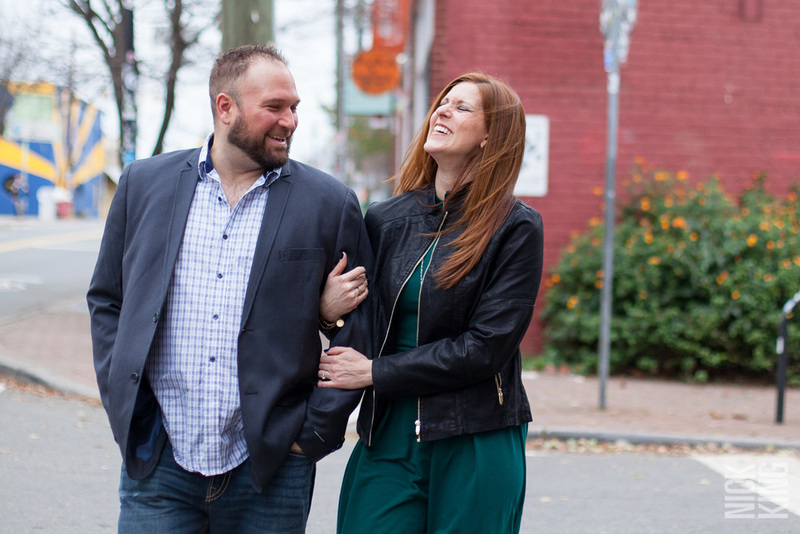 Man, Charlotte's changed a lot. 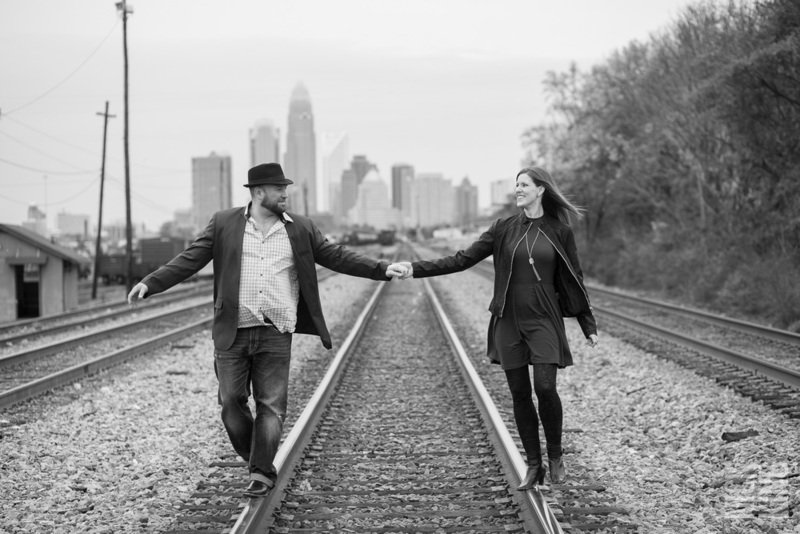 This is not the Queen City that quelled the boredom of my teenage years growing up in a small town near by. 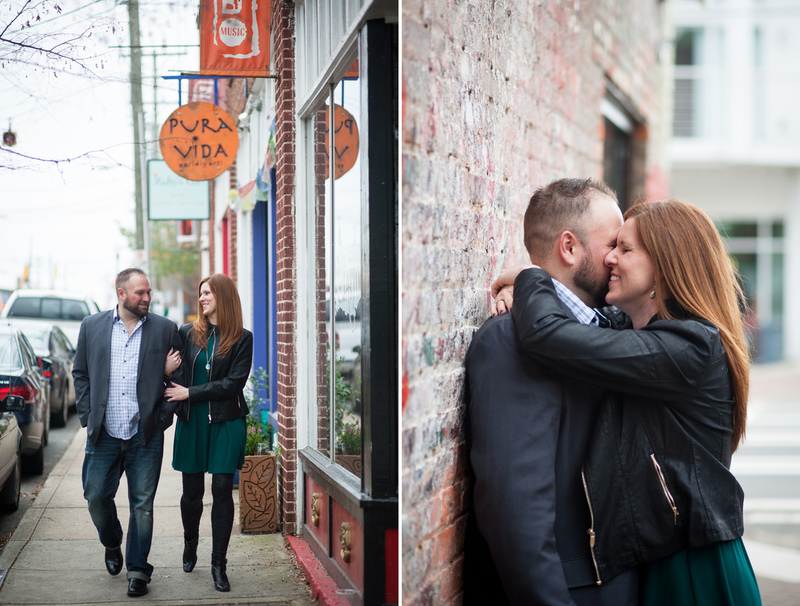 In fact, the NoDa arts district, where Dre and Tony live reminds me much more of my adopted hometown of Asheville than it does the Charlotte of yesteryear. 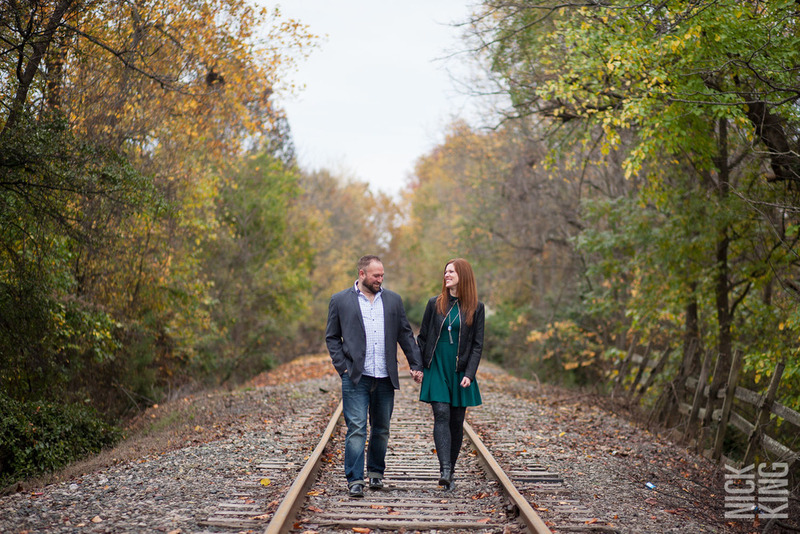 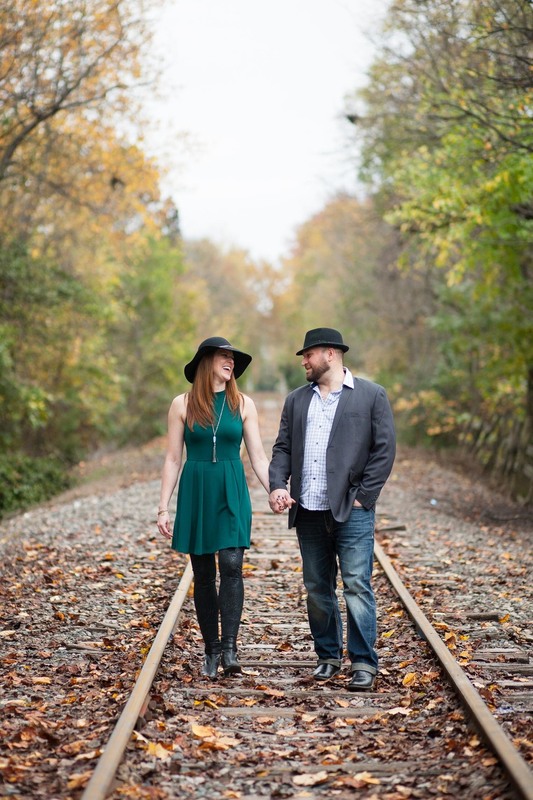 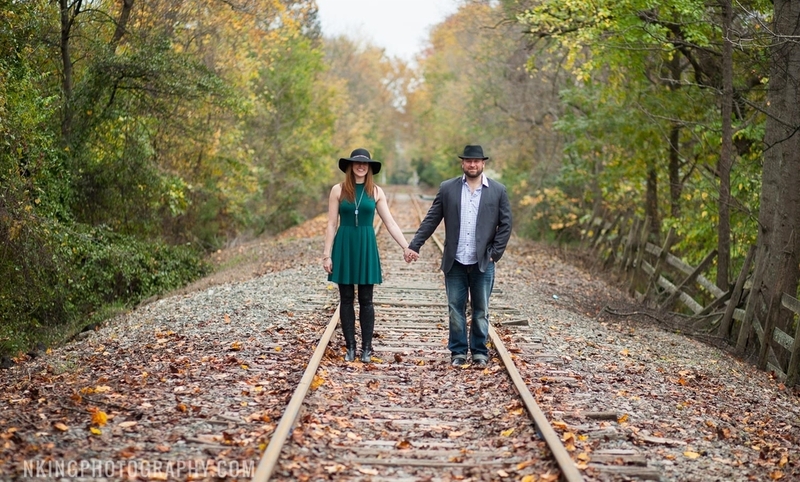 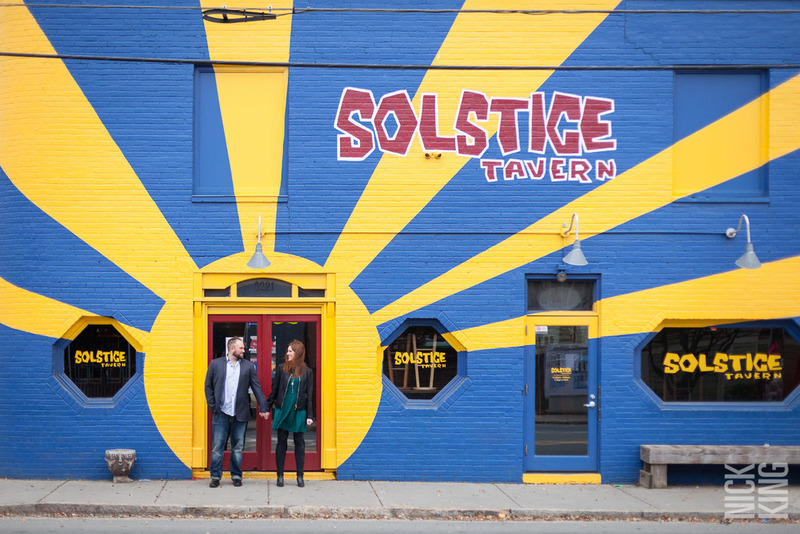 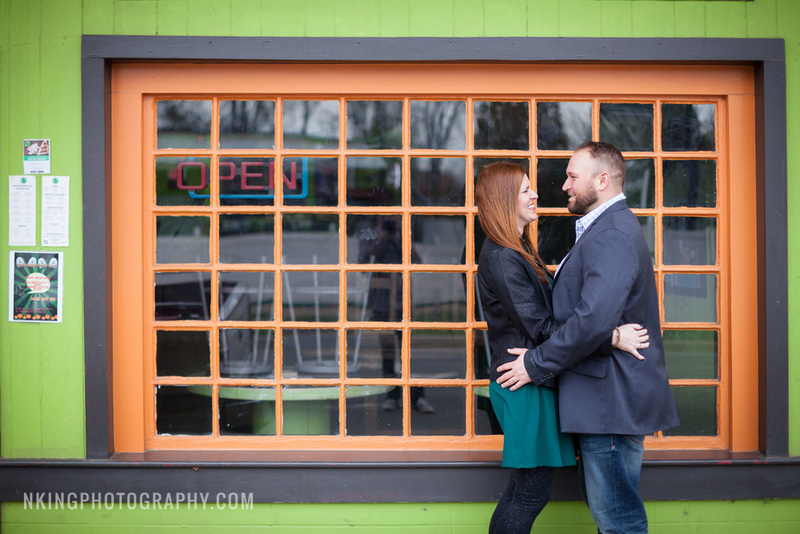 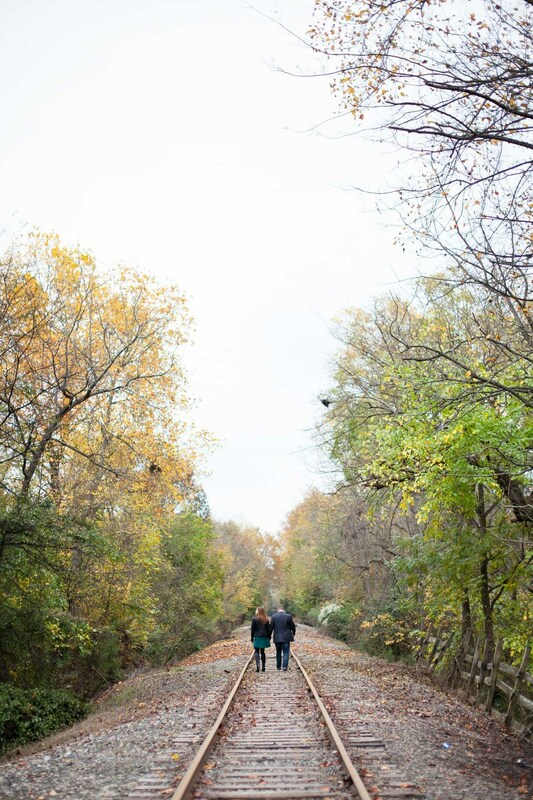 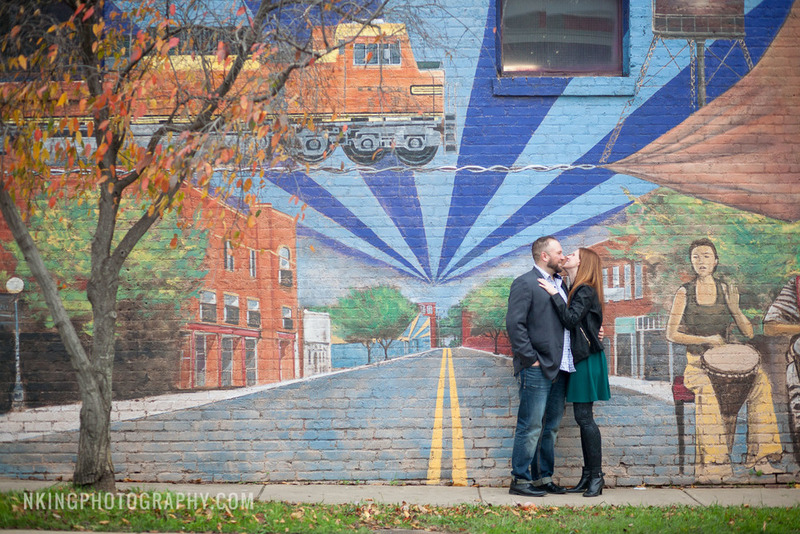 Full of colorful murals, music venues, local breweries, and abandoned railroad tracks, it provided the perfect backdrop for this urban engagement shoot. 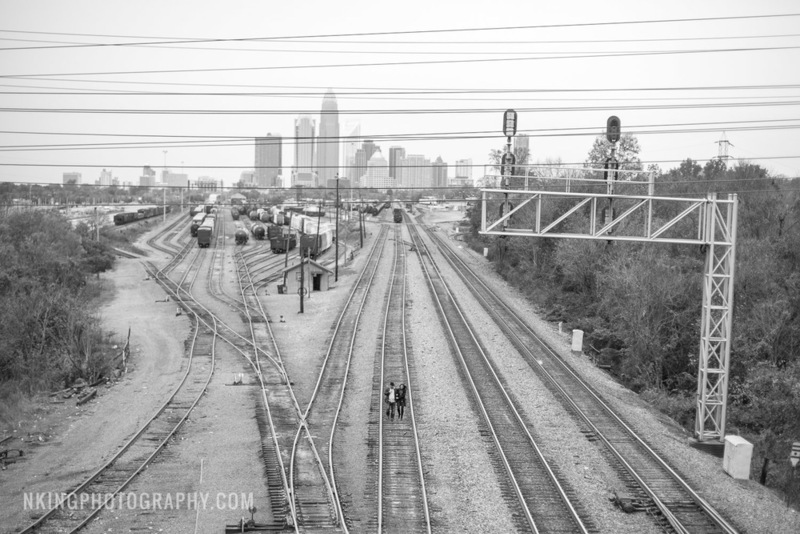 Plus, I really enjoyed the thrill of shooting on a not so abandoned railroad track to get a perfect shot of the uptown skyline!